Since Guerrier, and Joseph Lidster before him, have gone off-piste I am going to do the same. I DO have a new novel in the works but I’m not willing to talk about it yet, so I’m going to talk about a new book I’m contributing a short story to. 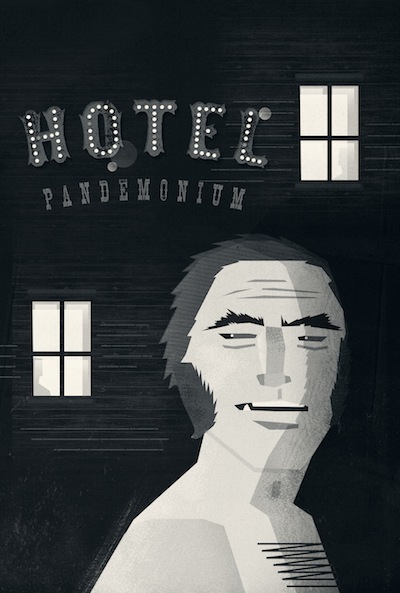 My story ‘Grit’ is appearing in A Town Called Pandemonium, which comes out at the end of the month. A commission. Anne Perry and Jared Shurin asked me if I wanted to come play in their shared universe along with nine other authors, and I said yes please. Oddly, they’d asked me to contribute a Dickens/London themed tale to a previous anthology, and as a Dickens fan and a London resident, I leapt at the chance and then… came up with nothing. Eventually I recused myself. They then said, how about a western? And I had a story within ten minutes, as if delivered by the ideas fairy. Odd how it happens sometimes. The germ of the idea was a man waking up naked in the main street of a frontier town. How did he get there and what will he do next? The book as a whole is Weird Wild West; my tale is more strictly Western Noir – I think of it as the kind of story Hard Case Crime would publish if they did westerns. With monsters in. My nameless hero would be Nathan Fillion; Waterloo Jones would be Helen Mirren; John Longpoke would be Joseph Gilgun; Katie would be Jodie Whittaker. A lawman, a fugitive, a dame with a gun, and a silver bullet. It’ll be published by Pandemonium Fiction. About a month. I had the opening and the ending, but the middle took a while to come into focus. There was a great anthology a year or so back called Gutshot that falls within the same ballpark. I was asked by nice people, and I realised I could have some fun with it. This awesome picture, one of six done specially for the book by Adam Hill. Which other writers would you like to tag to tell us about their Next Big Thing? Sophia McDougal, Will Hill, Gary McMahon, Tom Pollock, Jonathan Morris.